Welcome to ink4mail.com, where we specialize in providing high quality ink cartridges to the bulk mail industry, where products like HP Versatile Ink (C8842A) and HP Fast Dry Ink (C6195A) make a difference in the quality of the result. 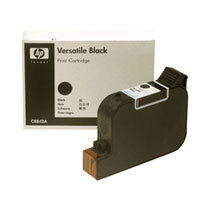 Colorlabs Remanufactured Ink Cartridges are available at Ink4Mail.com at a significant savings over HP OEM Cartridges. For more information on Remanufactured Ink Cartridges and which cartridge compares to what you are using now, go to http://www.ink4mail.com/products/colorlabs-remanufactured-ink. 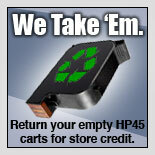 We supply both original HP OEM ink cartridges, as well as lower cost refills. Please ask us about which cartridges would be right for your printing situation. Ink4mail.com has established itself as a premium supplier of inks from Kao Collins. please call us toll-free at 866-INK-CART (866-465-2278). allowing for quick shipping times throughout the country.